SAN FRANCISCO, CALIFORNIA, USA, October 25, 2018 /EINPresswire.com/ -- Today Simply NUC, an industry leader in small form factor compute devices, has announced a collaboration with Streamlabs and Intel to deliver a new, custom computing device named EasyCAST, optimized for live streaming. The new computers dedicated to personal broadcasting will be powered by an Intel® Core™ processor and come preloaded with Streamlabs OBS from Streamlabs, giving streamers the tools to better engage with their fans, grow audiences, and improve monetization. It is the first of its kind to elegantly blend hardware and software in a way that makes streaming more accessible for everyone. It is intended to solve a growing user problem: Many gamers want to stream their content, but they don’t know where to start. The EasyCAST has been quality tested for performance by Streamlabs and is affixed with the Streamlabs seal of approval. Additionally, the Intel® Quick Sync Video encoder has been optimized with Streamlabs OBS and will come preloaded on these devices to provide the best quality bit-rate, audio, resolution, and FPS. 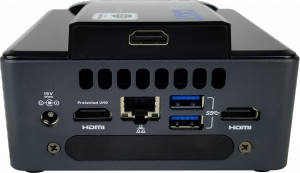 “We are excited about this collaboration with Streamlabs and Intel, as we feel it showcases the versatility of the NUC platform, as well as the powerful solutions we can build with it,” Said Aaron Rowsell, CEO of Simply NUC. 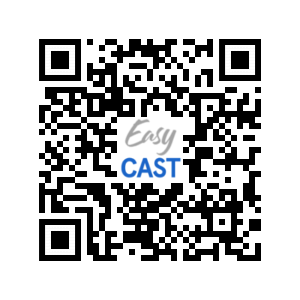 “EasyCAST will be a great tool for helping creators and gamers to be seen and build their following”. ●	Streamlabs OBS Pre-loaded and configured. 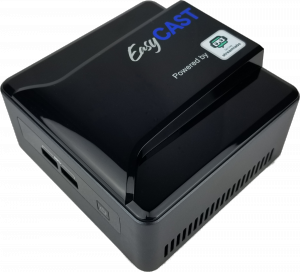 EasyCASTwill be available later this year at https://simplynuc.com/easycast-stream-solution/ and will also have the option for users to purchase on its innovative Device as a Service (DaaS) financing model. Formed in 2015 and headquartered in Round Rock, Texas, Simply NUC®, Inc. is an Intel® Platinum Level Technology Provider specializing in the NUC platform. Simply NUC provides fully configured, warrantied and supported NUC systems and solutions to businesses and consumers, as well as end to end NUC project development, custom operating system installations and NUC accessories. Intel, the Intel logo, Intel Core and Intel vPro are trademarks of Intel Corporation or its subsidiaries in the U.S. and/or other countries. Intel® Platinum Partner Simply NUC® expands into Europe and launches UK based Simply NUC, Limited.